Deepa Nair Rasiya takes her audience on a voyage exploring poetry and music within the realm of the mystic traditions of the subcontinent. Seeking to unravel, through music, the profound meaning in the poetic lyrics of the Saints and Philosophers over the centuries, this journey embraces a comprehensive spectrum of musical styles – from traditional hindustani classical vocal music to semi classical, folk and cross-genre fusion, to best communicate the emotion and the messages presented; Deepa’s vocals are complemented by instrumental accompaniment from some of the UK’s finest musicians, all from a diverse range of musical and cultural backgrounds. The project endeavours to provide glimpses into the Sufi and Bhakti movements and also to explore some of the lighter styles of North Indian music, mainly Thumri, Bhajan and Folk, employing instrumental arrangement styles to make it contemporary, current and accessible musically. Spiritual love and the search for meaning in human existence remain the enduring themes throughout. A singer and songwriter, born in London, Deepa Nair Rasiya’s South Indian heritage took her musical journey, initially, to the orthodox Carnatic traditions of Indian vocal training (at the age of 5). In her teenage years, she explored the field of Western classical music, studying music at GCE level and taking up Violin training in which she accomplished Distinctions up to Grade 6 level. Although anchored in her South Indian roots, Deepa became increasingly drawn to the Hindustani (North Indian) classical tradition. In 2010 she became a disciple of Pandita Veena Sahasrabuddhe and has also received Khayal guidance from Shri Mukul Kulkarni. 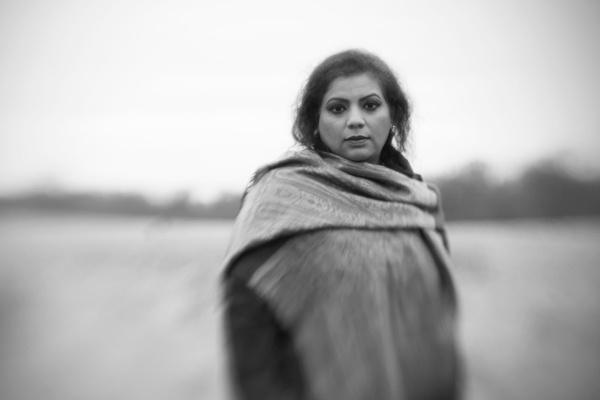 Deepa’s present day style is a unique blend of the Northern and Southern approaches to vocal technique, which has earned her an unrivalled place amongst the female Indian vocal artistes of the UK today. Deepa has worked as a concert performer and session musician in the UK since 1991 and has, in the last decade, emerged also as a prolific composer. Deepa’s vocals have featured on numerous albums across the globe – notably, her recordings with: George Harrison and Pandit Ravi Shankar in the album ‘Chants of India’ (1996), the Japanese Band ‘Chari Chari’ in the album ‘In Time’ (2001/2); Jose Padilla in ‘Bella Musica’ (2003); Craig Pruess in ‘Temple of Spice’ (2002) and ‘Language of Love’ (2003); Bollywood music director Anu Malik in ‘Eyes’ (1994) and the Buddha Bar compilations such as Maja Cantoma (BB –X) – to name a few. Deepa’s vocals have also featured on British film background scores and TV adverts – her film work includes hits such as ‘Bhaji on the Beach’, Bride and Prejudice’ and ‘Mistress of Spices’. In 2006, Deepa released her debut solo album, ‘Into the Light’ – her first offering as a fully-fledged Indian composer/songwriter and vocalist, recorded and produced by Craig Pruess in England and released under the label ‘Heaven- on-Earth Music’. Deepa’s ceaseless composing work continued; in 2012 she was signed to ‘Asli Music’, a Mumbai based record label, whose chief, KJ Singh produced her first single ‘Aa Pir Moreh’. She has now completed a brand new, ground-breaking, Sufi album titled ‘DESTINATION’, from which a stunning first single, ‘Ab Toh Jaag’, was released on 14 January 2015. Another video “Eh Tan Mera’ was released on her album launch on June 21st, 2015, World Music Day.